For hair - PREVENTS HAIR LOSS & PREMATURE GREYING. Prevents hair splits & promotes healthy hair growth. Cleanses the scalp and prevents dandruff and itchiness Also prevents dryness , frizz and breakage. 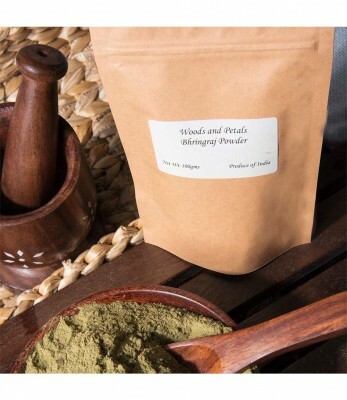 Bhringraj powder, also known as Eclipta Alba or 'king of hair ', is a herb that has been used throughout India for centuries. Bhringraj is a type of Ayurvedic herb. Bhringraj is best known for it's proposed hair benefits. 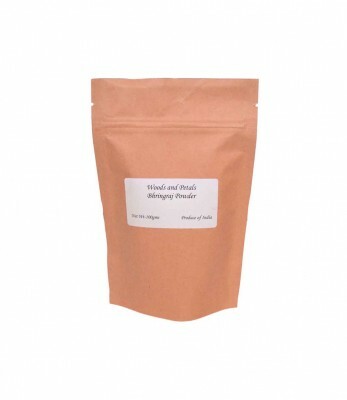 DIRECTIONS FOR USE : Mix Bhringraj Powder with Amla Powder, make a paste and apply on hair & scalp. Wash after some time or Mix Bhringaraj Powder with coconut oil . Rub this mixture on the scalp . Wash of after 30 mins. This Preparation when applied on hair may give shine, health and strength to hair.